The Jama’atu Izalatil Bid’ah Wa Iqamatis Sunnah in conjunction with The Muslim World League (Raabitah), organised a two-day International Islamic Conference on Peace and Stability from March 17th - 19th, 2016 at the Shehu Musa Yar’Adua Centre, Abuja. The organisers showed gratitude to both President Muhammad Buhari , who declared the Conference open, and King Salman Ibn Abdul Aziz Al Sa’ud, Custodian of the Two Holy Masjids for facilitating the Conference which brought together dignitaries from many countries as special guests, paper presenters, members of the press and participants. The Senate President, Abubakar Bukola Saraki together with a multitude from the National Assembly formed part of attendees. His Eminence, the Sultan of Sokoto, Alhaji Sa’ad Abubakar, as well as the Emir of Kano, Alhaji Muhammadu Sanusi II graced the occasion. Participants at the Conference cut across regions from Africa, Asia, the Gulf states and the United States of America. Izala is no longer a local Islamic organisation. Izala is an international movement with members in myriad countries around the world, especially now that it has got the stamp of authority from the Custodian of the Two Holy Masjids, King Salman Ibn AbdulAziz Al Sa’ud, depicted by this alliance with The Muslim World League. 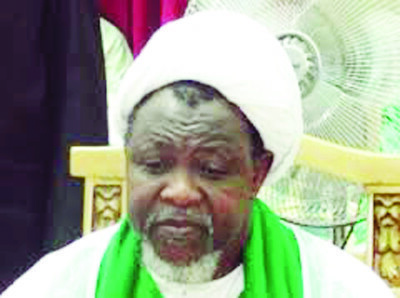 This international conference, the first of its kind by any Muslim group in Nigeria, has opened a new phase in the development of Izala from a movement, viewed by not a few Muslims, with penchant to expelling people from the fold of Islam because of its strict adherence to the principles of monotheism, to a modern Islamic body which pledges allegiance to peaceful exchange of ideas, and engaging the other on scholastic and intellectual platforms. It was gladdening to sit in a hall with Christians of various denominations, and Muslims from Darika groups attending a conference organised by Izala. Just 10 years ago, one may be pardoned for deeming such meeting impossible. Not anymore. Izala extended invitations to Qadiriyyah and Tijjaniyyah leaders for their participation in the conference, and they all honoured by attending in large numbers. I sat close to Sheikh Tijjani Bala Kalarawi who informed me after one of the sessions at the conference that he came with a lot of other Tijjaniyyah followers like Imam Nasiru Adam, Chief Imam, Sheikh Ahmad Tijjani Mosque, Kano, Sheikh Shehu Shehu Mai Hula, Kano and many in a handsome delegation sent by Khalifah of the Tijjaniyyah Order Worldwide, Sheikh Isyaku Rabiu. Another powerful delegation was sent by Sheikh Qaribullah Nasiru Kabara, Head of Qadiriyyah Doctrine, West Africa. This is what we desire: burying the hatchets of rancour. Our disputes on any matter should be referred to Allah and His Messenger, if we really believe in Him as our final arbiter (Qur’an 4:59). One important lesson from the conference, which I believe the Izala leadership should learn well is the tolerance and maturity our Darika brothers displayed. The mere fact that Darika people agreed to come together with Izala brothers in a conference is a huge leap. Those who did not know the level of acrimony between the two broad groups cannot appreciate this well enough. These were groups of people who once did not see eye to eye. They used the pulpits of their respective mosques to hurl insults at each other. Somehow, maturity is setting in these days as evidenced by an invitation to the Darika people from the Izala side; something no right-thinking Izala man would do a decade or two ago. Indeed the acceptance of the invitation and subsequent attendance of the big guns in the Darika stables probably led to the silence of their leaders who normally took swipes at the Izala after such conferences in audio and video recordings. The Izalas too would have found a way to do a rejoinder recording and so the vicious cycle would continue, ad infinitum ad nauseum. One of the more virulent ones among the Darika made it his pastime to insult His Eminence, the Sultan at regular intervals. He once called His Eminence the Sultan of only the Izala because he felt the two factions of Izala were to be considered as one but the Sultan considered them to be two groups and thus gave each representation in the yearly Hajj committee along with representatives from the Darika. Ironically, I am aware that some of the Izala view the Sultan as a closet Darika! In fact, Sheikh Abdul Mohsen of the Raabitah remarked that this new understanding between the two groups should give rise to a change of name for the Izalas. The current name of Jama’atu Izalatil Bid’ah Wa Iqamatis Sunnah (Society for Eradicating Religious Innovation and Upholding the Sunnah) could henceforth become Jama’atu Iqaamatis Sunnah (Society for Upholding the Sunnah) without the Izaalatul Bid’ah (Eradicating Religious Innovation); a phrase which he deemed rather confrontational and no longer necessary since, in his respected opinion, the bid’ah (wrong innovation) has been cleared away now. The respected scholar and Secretary General of the World Muslim League urged all the groups to work together to educate their followers properly and to collaborate in the fight against religious extremism; a statement I found somewhat at cross purposes with the advice to stop mentioning the eradication of bid’ah. This is because there is no way you can fight against religious extremism without fighting bid’ah, since it is bid’ah which leads to religious extremism to begin with. The point he was trying to make was clear, the context and application will be subject to many considerations. I foresee a future where Darika would invite the Izala to their own conferences and the Izala would attend and present papers and vice versa. I foresee a point in time when the two can sit and thrash out any issue in a scholarly fashion; in a way which shows both sides have been schooled in the etiquette of disagreement in Islam. 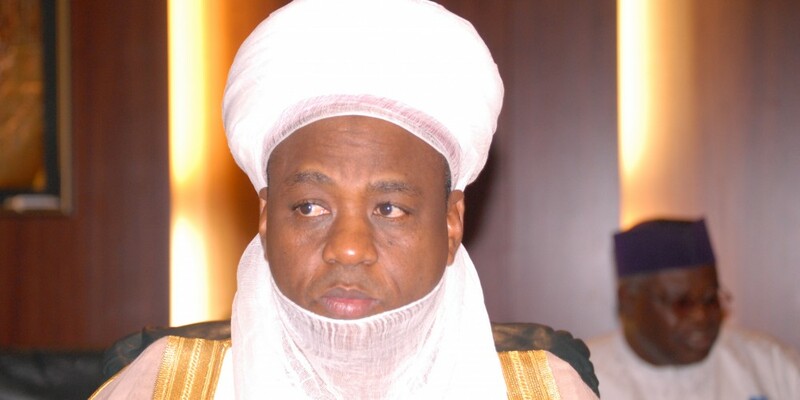 A situation where a so-called scholar would mount the rostrum and tell the leader of Nigerian Muslims, the Sultan that his forebears’ jihad did not reach Guru and so he does not regard the Sultan as his leader is sad and avoidable. When senility takes away discernment, it is the duty of the students of such, who as his children should guide their parent who has become a child. May Allah reward Zaymar Islamic Research and Development Education Centre for organising this conference at this trying time of our country’s history, and for inviting me to present this paper. Permit me to modify the latter part of the topic by replacing ‘Constituted Authority’ with ‘Those Who Are In Authority’, as contained in verse 59 of Suratun Nisaa. Thus, the topic will now read, Utilising Context Specific Religious Tools To Promote Constructive Social Relationship With Those Who Are In Authority. ‘Constituted Authority’ conjures up the experiences we had years ago during the Muslim Students Society (MSS) days of abominating anything that has to do with the constitution. Two words in the Hausa Language - kwance, and tushe, were joined together to form kwancetushe which, phonetically, sounds like constitution but which actually means severing of the basics, or destruction of the foundation. Since the constitutions came to replace the Shari’ah with the advent of colonialism, we rejoiced in the usage of this coinage and in the malignant description it gave to constitution in both sound and meaning. Other events around the world, created in our minds a fantasy of some sorts; like the unjust incarceration, and, later, martyrdom of Sheikh Hassan Al Bannah, Sayyid Qutb, etc., enflamed in most of us this hatred of the constitution. Reading some books authored by the duo, and many like them, as well as the Iranian Revolution of 1979 liberated our benighted thoughts, or so we assumed, to the realisation that: 1) with the abolition of Shari’ah and its replacement with the constitution by our colonial masters, Nigeria has become Daarul Harb, an Abode of War, and not Daarul Islaam, the Abode of Peace anymore 2) it was mandatory on all of us, therefore, to either fight the Nigerian State in order to establish an Islamic one in place thereof or make hijrah, migration from this territory of war to that of peace by any means necessary; 3) Nigeria as a whole, and its apparatus of government was a personification of infidelity because, in it, Allah’s Laws were brought low, thus being part of the system in any form, be it as a civil servant, a policeman, a military officer, and whatnot was disbelief; not only that, entertaining any doubt concerning the faithlessness of people in government was riddah, repudiation of one’s faith; 4) the education system in Nigeria became the veritable conduit through which disbelief was injected into people who later graduated and became civil servants in government establishments and thus ensured the continuity of the kufuristic system; 5) on account of all these, therefore, Muslims must stay away from all forms of kufr as represented by Nigeria and its administrative and education systems; 6) waging war against the government, its workforce and institutions was a duty on all Muslims, and anyone that opposes this noble jihad was part of the kufr, and as well, a legitimate target. This flawed state of mind was further exacerbated by ceaseless free supplies, from Iran, of magazines such as Echo of Islam and Mahjubah. Reading whatever Islamic literature came our way was an honest attempt, laced with ignorance, to live according to the dictates of Allah, and to avoid subservience to manmade laws. We entertained this colossal utopian idea of routing the Nigerian authorities, toppling the government through Iranian style Islamic Revolution, and living happily ever after in an egalitarian society under the rule of Allah! Our attachment to Iranian publications made some to people think we were leaning towards Shi'ism; many even said we were Shi’ah, which we were not. We were only concerned with that bond of brotherhood that bound all Muslims together, thus the name Muslims Brothers. When the Izalatul Bid’ah Wa ’Iqamatus Sunnah movement started in the 1980s they made the mistake of repelling us from their hold by falsely accusing us of Shiism, something about which we knew nothing then. That was a pricey error. ‘Izala failed to embrace, and to save from the wilderness of jumbled understanding of the Deen, a generation of genuine lovers of Islam. Thus, we viewed Sunni scholars of the Izala stripe, at the head of them the late Sheikh Abubakar Mahmoud Gumi, as the ‘government mallams’, who advocated remaining in the kufr system with the aim of effecting corrections from within. We rejected that approach challenging its protagonists to show examples of any success recorded in that kind of arrangement, in Nigeria or elsewhere. They wanted gradual reform; we wanted complete Islamisation as witnessed in Iran. 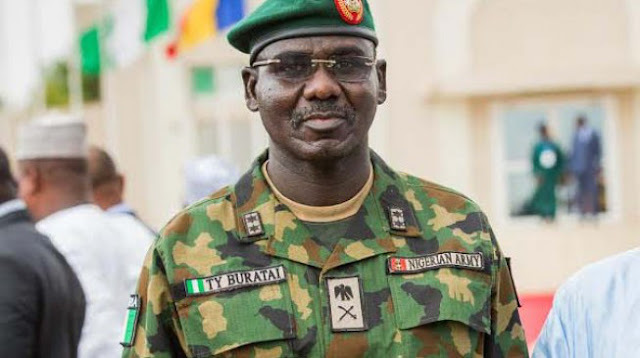 We advocated and spearheaded the call for total boycott of Boko as kufr because it was based on Judaeo-Christian foundations, according to our derailed perception and limited knowledge. Most of us dropped out on our volition, or were rusticated due to unruly conduct by the university authorities, like ABU, BUK, etc., but we remained within the campus trying to save others from the perdition we saw in pursuing western education. It was only decades later that people like Muhammad Yusuf plagiarised what we initiated and through which we caused otherwise great brains to abandon their studies, by abhorring and describing Boko an Islamically forbidden enterprise. Even when Tehran started getting interested in what we were doing and invited some of us to Iran, we were sceptical of their intent. However, gradually some of us inclined towards Iran’s consistent ideological overtures to Shiism. Conversion of some us to Shiism brought with it the split of the Muslim Brothers into two. Jama’atu Tajdeedil Islam (JTI), which refused to tow the Shi’ah line, and the Shi’ah faction of Islamic Movement of Nigeria (IMN). This later witnessed further division when some of its members returned from Iran after their studies only to realise that the leader of the movement was ill-educated and, according to them, was only using the cause for his personal ends and self-aggrandisement. Therefore, these Shi’ah elite left IMN to form two other Shi’ah organisations, namely the Rasulul A’azam Foundation (RAAF), and the Darus Saqalaini (DS), which operates under the umbrella of Ansarul-Mahdi Organisation. Unfortunately, what started as genuine love for Islam in the form of Muslim Brothers has ended with one Sunni group, the JTI, and three Shi’ah organisations: IMN, RAAF and DS. Addressing the topic of this presentation, which is seeking ways through religious tools to promote social interaction with those in authority, will be impossible with some Shi’ites, because of variations in creed. For example, the attempt for any meaningful discussion will be futile with a group which thinks the Glorious Qur’an in our midst today, is incomplete because it suffered interpolation and removal of some verses at the hands of the early caliphs after the demise of the Messenger of Allah (SAW), in order to advance their political interests. These honoured companions were with the Messenger of Allah at the beginning; they gave their best to the cause of Islam, until the he left this world well pleased with them. To the Shi’ah, as a doctrine of the creed, these companions were renegades who should be cursed because they betrayed the Messenger of Allah after his demise, and usurped from Ali (RA) the right of caliphate. What religious tools will you quote to the Shi’ah when they do not see the wives of the Prophet as their mothers as established by the Glorious Qur’an (Al-Ahzaab, 33:6). Our mother and consort of Allah’s Messenger, Aishah is maligned as an adulteress by the Shi’ah. Where you say ‘labbaikallaahummah labbaik’, Shi’ah will chant ‘labbaika yaa Husaini!’ These are only few examples of discordant voices between Islam and the Shi’ah creed. Therefore, this discussion will be of scant benefit to the Shi’ah adherents with their weirdest set of doctrines and ‘hadeeth’ collections. You can hardly converse logically with a group which its individual members have imprisoned their reasoning and ability to take decision on any matter without referring it, not to Allah, or to their analogical deductions of His ordinance, but to the whim of a single person. The Kaduna State Judicial Commission of Inquiry (KSJCI) was brought to its knees due to continuous adjournments as requested by the legal team representing IMN because members were not able to have access to, and assent of the leader, Sheikh Ibrahim El-Zakzaky, and which, after procrastinating submission of its memorandum, withdrew from further appearance in the KSJCI. 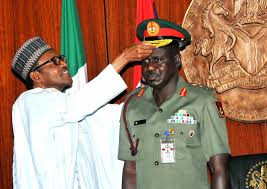 Ironically, the group, which has spent over 30 years goading young Muslim undergraduates to forsake their studies because Boko was not Islamic, is now enjoying the services of non-Muslim lawyers in its existential debacle with the Nigerian Army! Dividing the world today in terms of Daarul Harb, Abode of War and Daarul Islam, Abode of Peace is something of an anachronism, since you can hardly find a country that does not have, at least, a minority population of Muslims, or a Muslim country without a Christian population no matter how negligible. That is why Shaafi’i scholars averred that any place where Muslims reside and they are able to practice their religion and even call others to it, cannot be described as Daarul Harb. Such countries, according to them, should be called Daarud Da’wah, Abode of Propagation, because through proselytisation people may answer the call and thus strengthen the Ummah and help convey Allah’s messages to multitude others. Our situation in Nigeria, in the opinion of Late Sheikh Abubakar Mahmoud Gumi, is that of Daarul Amaanah, Abode of Trust, where colonialism came with new terms of engagement after conquering the Islamic State established by Sheikh Usman Dan Fodio. In Amaanah setting, unlike Dhimmah (where non-Muslim residents pay jizyah), nobody is to pay for protection, etc., as both Muslims and non-Muslims were subdued by the colonial forces. Here, Muslims are allowed complete freedom in the practice of their religion - rituals, personal laws of marriage, inheritance, etc., - with the exception of the criminal aspect, which, as demonstrated in the Zamfara Shari’ah extension of same, showed even the exception to be ineffectual. Hijrah is not an option as the above reasons have shown. Boko Haram forsook the town and relocated to the outskirts of Maiduguri, but their goings and comings, back and forth, to meet certain needs in the city occasioned the genesis of their crises, first with the police, and later with the army. The rest is what we are witnessing today. Another group was Daarul Islam, which established a mini Islamic State in a remote place between Minna and Mokwa in Niger State. Of the hijrah examples that I know, Daarul Islam was a good attempt. I visited the community twice, and I was impressed with what I saw of their independence from the rest of the world, their tolerance and non-violence. Nevertheless, the former governor of the state ordered their expulsion on the false charge of being Boko Haram. Proper observance of Islam is not tied to making hijrah to anywhere. There is no place that is not under the control of one authority or another. The reality in the world today is Muslims must live with non-Muslims under systems that may not be Islamic. You can count on your fingers the number of countries that are living under Islamic Shari’ah; many are under a constitution like our own, including the country with the highest Muslim population, Indonesia. What will happen if Muslims boycott participation in democratic processes because they are not purely Islamic? How will Muslims fare if they refuse to work in usurious financial institutions or keep their monies there? We need Muslims everywhere: in the banks, the presidency, the National Assembly, the courts, ministries and agencies, as well as in the private sector. Decades ago, we did not have options for Islamic banking. Now we boast of full-fledged Islamic financial services, thanks to His Royal Highness, the former CBN Governor and the Emir of Kano, Muhammadu Sanusi II, his predecessor, Prof. Chukwuma Charles Soludo and Dr Kingsley Moghalu, who started the inclusion of the Islamic non-Interest banking in the windows recognised by the CBN. Incidentally, the last two persons I mentioned are Christians. Therefore, those in authority deserve our allegiance in as much as the Messenger of Allah (SAW) has admonished us to give absolute obedience even if a slave becomes our leader. The purpose of Islamic Shari’ah is to bring benefit and avert evil in all circumstances. Muslims are part of Nigeria and will remain to be so until Allah accomplishes His purpose. We shall form political alliances with other Nigerians be they Muslims or non-Muslims by coming together in the democratic process, to reach those in authority with a view to making this country better. Taking up arms against the state or forming parallel government is both foolhardy and exposing the Ummah to ridicule. This is not to say this is the ideal and end in and of itself; far from it. This is a stopgap, which the Muslim must never mistake for the goal. The goal is as spelt out in the Glorious Qur’aan in several verses, one of the most famous of which is verse 44 of Suratul Maaidah (Q5:44). The Muslim knows and must never forget that his real constitution is the Shari’ah. He works and prays towards its actualisation but he will not carry arms or instigate others to carry arms to achieve this aim. Now, let us examine the ways we could use religious tools to engage constructively with the government, in the Nigerian context. The main objective of this paper is to enlighten everyone on the tools available and how they can be used to forge constructive social interactions with the government at various levels. As-Sam’u wat tā’ah (Hearing and obeying): As long as what those in authority are instructing does not contradict a direct injunction of Allah or His Messenger, the Muslim must hear and obey. Thus, the Muslim will not disobey traffic laws and will pay his taxes and levies and conduct himself in an orderly manner. He will not instigate civil disobedience and will not join protests and riots. An-Naseehah (Sincere advice): A Muslim will give the government and its agents sincere advice on whatever he has observed requires such. Thus, he will inform the authorities when a crime is brewing and prevent people from breaking the law. He will assist the police to arrest anyone fomenting trouble. Participation: The Muslim will participate within the limits set by Allah in the running of the state. Failure to do so will bring dire consequences upon the Ummah. Imagine a Nigeria where there is no Muslim in any position of authority. Surely that would be a disaster. Especially as the populace are not matured enough to tolerate each other’s’ faith. Even where there are some Muslims in important positions, people of other faiths hardly let an opportunity to short-change Muslims go. The same can be said of Muslims in places where the non-Muslims have no representation. Al-Mushaawarah (Mutual Consultation): This tool is closely linked to the last one. The Muslim is expected to participate in mutual consultation with those in authority. An example of this is when there is a referendum or confab. Muslims will be the losers if we do not actively lend our voices. Many laws, which target certain rights of the Muslims, have been quashed, adjusted or rejected by the Muslims who were part of the mutual consultation that occurs before such laws are made. I urge my learned brothers and sisters to add to these tools and help spread the word. May Allah grant us our desires as an Ummah. Thank you for listening. Jazaakumullahu khayran.